pot would be perfect if you can find one. You can sometimes find wishing wells at Wal-Mart or on amazon. If you can get a blue one then that would be perfect. This is because you use it as a representative correspondence of water. Wishing wells are such a great addition to any witches daily magick rituals. If you can’t find a blue one then don’t worry about it. Try to keep the magick wishing well in one place. This should be a safe and important place, like your place of magick. You should only move your wishing well to remove the coins from the base. If this isn’t possible you may stash your wishing well in a secret place in order to remove it when you need to. 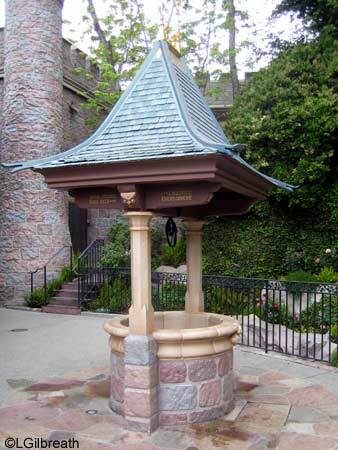 In order to magickally charge your wishing well you will need a coin and some bottled spring water. If you can’t find bottled spring water then you may use the freshest water possible. Hold the coin (preferably silver) in your protective hand (usually the hand you write with) and visualize this well as a holder of untold and unlimited power. Imagine a a brilliant blue light radiating from the wishing well. Remember to treat this wishing well like one you would outside your home. This means you should let the coins stay at the base of the wish well. When there are a lot of coins in the wishing well you may dry them off and remove them from the base. You should donate the coins from your wishing well. Never spend the coins from the wishing well on yourself as you made this offering to element of water to manifest your wishes. Once you have removed the coins, clean and add fresh, new water to the well. Afterwards repeat the charging ritual. You can also place other items in the wishing well as offers. Things like magickal runes, stones, and crystals are all things you may wish to add. It you switch between coins and stones, then it might be best to clean out the wishing well and starting over.